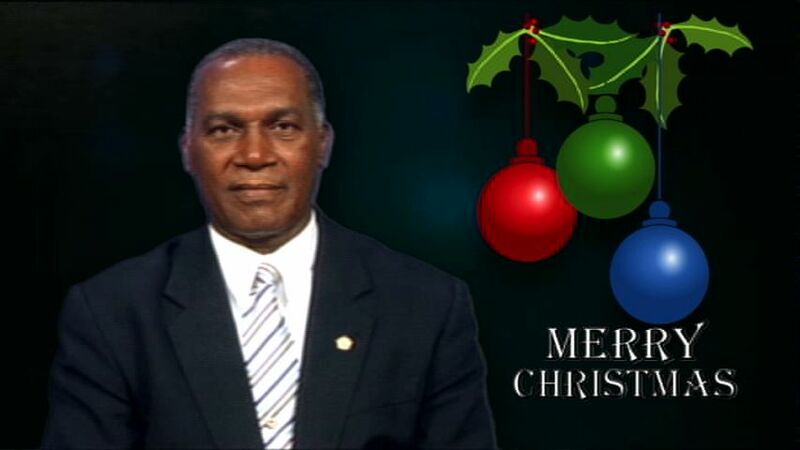 NIA CHARLESTOWN NEVIS (December 25, 2014) — My Fellow Citizens, my fellow Nevisians, residents and visitors, it is indeed a privilege and honour for me to bring Christmas greetings and best wishes to you and your families for Christmas 2014. Each Christmas we celebrate the birth of Jesus Christ the Prince of Peace, who came into the world with only a stable for shelter. Christ’s birth made angels rejoice and attracted shepherds and wise men from afar. As the manifestation of God’s love, he lived a life of sacrifice and humility, a life guided by faith and compassion towards others which we should emulate. He ministered to the poor, healed the sick and embraced the downtrodden. Christmas is a season of peace and goodwill, a season of hope and joy. I trust that you will join me in praying for peace to prevail throughout our nation and for all of us to be driven by a spirit of goodwill towards each other, as we work harmoniously for the common good of our nation. This Christmas, let us give thanks for everything that makes this time of year special and let us reaffirm our commitment to our families, our neighbours and our friends. Let us remember that we are one and we are all members of the largest family of all – the human family. In this season of generosity, let us reach out to those who are in need. In this season of reflection, let us reflect on our challenges and achievements throughout the year. In this season of perpetual hope, let us pray that peace and prosperity will reign supreme in our nation. Let’s turn our thoughts to those who are unable to spend Christmas with their families. We should also think of those who lie injured and are victims of unacceptable acts of violence and crime. We must also remember our senior citizens, our children and the infirmed. May the love of God and that of our families and friends, bring immense joy and gladness to our hearts. For this Christmas, I trust that your faith may overcome doubt, your hope may conquer despair and love may triumph over hate. A merry Christmas to you and your families and may we, as a nation, experience the age-old Christmas message of peace on earth and good will to all men. Merry Christmas to all of you and may we look forward to the new year, with great expectation and great hope. God bless you. Merry Christmas to one and all.